Wafula Chebukati press statement: Chebukati threatened to resign giving the Presidential candidates a chance for dialogue or else he is not ready for short-term personal interest. - Bana Kenya News, Real African Network Tubanane. Home News Wafula Chebukati press statement: Chebukati threatened to resign giving the Presidential candidates a chance for dialogue or else he is not ready for short-term personal interest. Wafula Chebukati press statement: Chebukati threatened to resign giving the Presidential candidates a chance for dialogue or else he is not ready for short-term personal interest. The IEBC Chairman Wafula Chebukati has stated that the IEBC is committed to performing the Presidential elections. The chairman said that there is no possibility of having free, fair and credible elections. In a press statement, Mr. Chebukati said that no community should be above the other or a person be more favored than the rest. “I cannot guarantee credible elections at the moment however this is possible if there is a dialogue between political parties for an agreement and also if commissioners work in harmony,” he said. The chairman also hit out at the main presidential candidates for frustrating his attempts at creating a consensus ahead of the repeat presidential poll on October 26.
" I have struggled to make some changes in the commission but because of commissioners individual interests and numbers overhauled my ambition. I request the named people to resign peacefully for the interest of Kenya. I'm not ready to sacrifice for short-term personal interest than building a legacy to my family and the country." he stated. He also called upon IEBC officials, who have been adversely mentioned (He did not say by whom), to step aside. This was interesting considering that, in a lengthy newspaper advert last week, the commission made it clear that its officials were there to stay because the Supreme Court did not find any of them guilty of bungling the August 8 presidential election. It was responding to NASA’s irreducible minimums… the electoral reforms it insists must be met before its candidate, Raila Odinga, participates in the rerun poll. 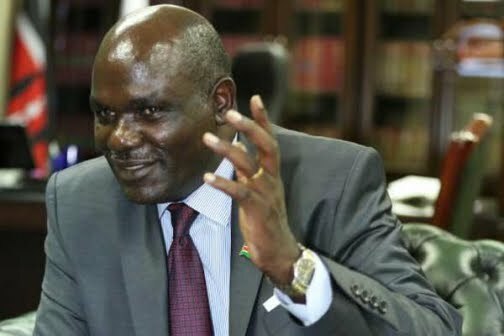 Mr. Chebukati’s statement painted a picture of a divided commission a week to the repeat election and barely a day after Commissioner Roselyne Akombe resigned citing frustration by fellow commissioners and threats to her life. The IEBC chairman has given a chance for dialogue between the presidential aspirants. The IEBC chairman said that the departure of Dr. Akombe has affected the commission in many ways as she was the hard working lady compared to the rest. The Chairman statement has shown frustration and division in the commission. The Chairman has given a chance and ultimatums that if failed then he will be ready to throw in towel. Will the Presidential aspirants meet in one table as called out by Chebukati?